DUBLIN, IRELAND — In a very quick transition from grading final exams in Wooster yesterday morning, I find myself now in downtown Dublin. I flew in last night to attend the 56th Annual Meeting of the Paleontological Association. I’ve been a member of this wonderful organization since 1985 — in fact, I’m one of the North American Representatives — and I love my rare visits to the main meetings. They are held throughout Europe to recognize the international base of the Palaeontological Association, with an emphasis on its European core. I am here representing the Paleontological Society in my role as Secretary. I am looking forward to meetings with my paleontologist colleagues, and to learning more about our craft and passion. 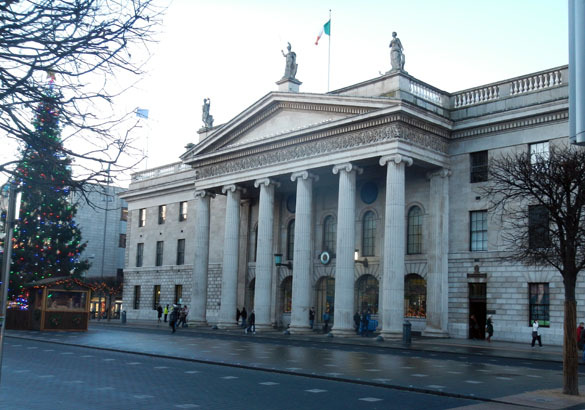 Since my first meeting is tomorrow morning, I spent some time looking at some of the historical places in the Dublin City Centre. 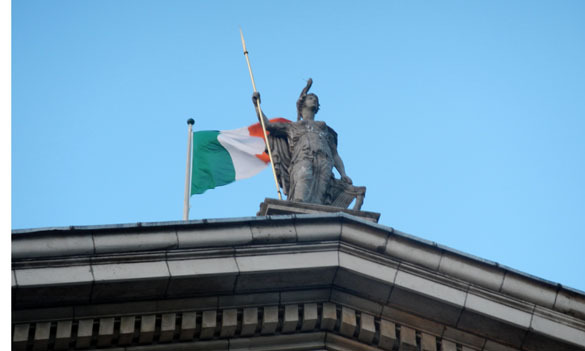 Most impressive to me is the evocative Post Office, site of the failed Easter Rising by Irish nationalists in 1916. Above is the post office today. 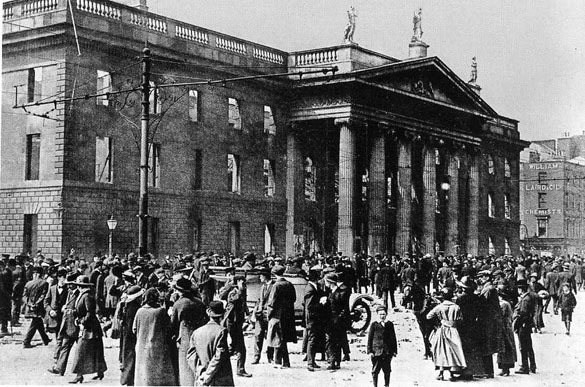 Below is the burned-out shell after the 1916 battle with British troops. Bullet scars are still visible in the stonework. 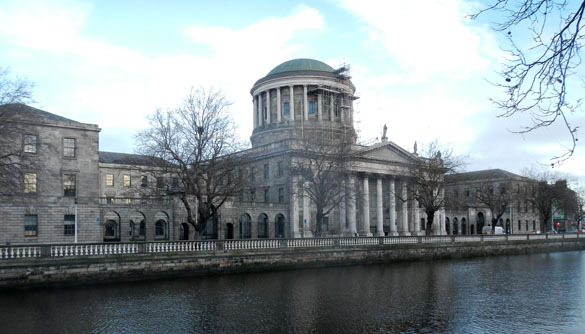 The Four Courts, Ireland’s main court complex. The original structure was built in the 18th Century. The River Liffey is in the foreground.